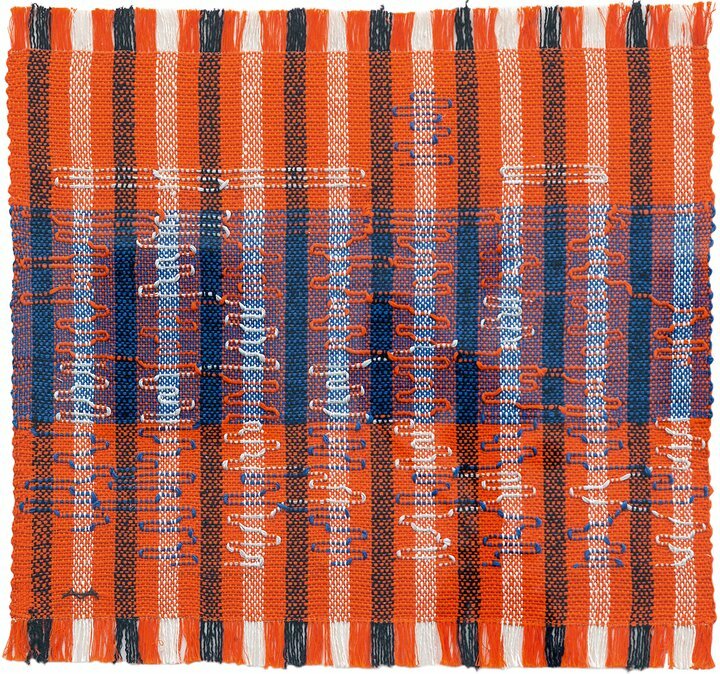 Last week a friend of mine recommended that I go and see the Anni Albers exhibition at the Tate Modern. Originally I had planned to see the clock (which is also amazing) and thought I would pop into the Annie Albers exhibition at the same time. Unexpectedly I was totally blown away. 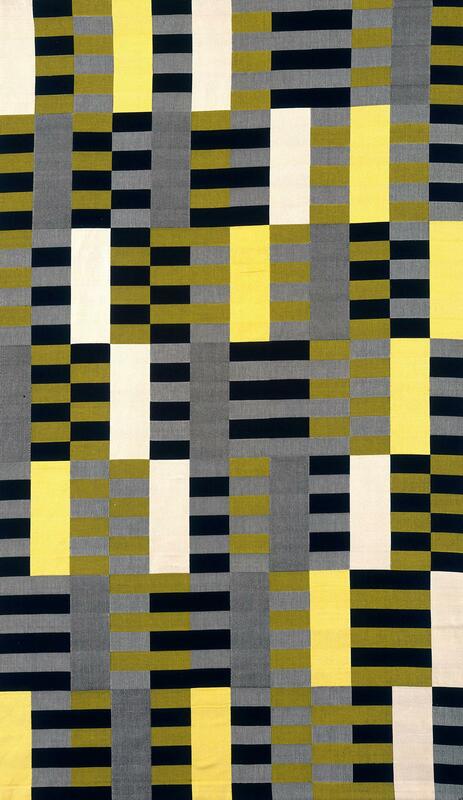 I admit maybe it was a little ignorant of me but I had not heard of Annie Albers, but I totally should have known about her as her work is amazing. She is essentially a weaver, and though her prolific work she has produced a large amount of sensational work. What was really profound for me was the amount of detail she put into the studies of her work. She would create multiple watercolour paintings detailing how her tapestries would look. Most of her work was quite mathematical. As someone who probably needs to plan her work more, this was really inspiring. One of the pieces that stood out for me was a tapestry that she wove with only three seperate colours. However, it gives an optical illusion of many more colours. It’s really amazing! Looking around the exhibition I noticed shapes that reminded me of modern day fashion crazes. For examples knots, I remember when that was the craze and almost every item bought at Topshop had knots of chains on it. She also created some big work for high profile clients. As a Jewish woman in the war life wasn’t easy but she still managed to be incredibly prolific. A fascinating fact I learned about her is that she taught at the Black Mountain College (in retrospect this is probably unsurprising!). This was a sort of experimental college which focused on creative learning and communal living. Paul Klee also taught there and the school was attended by many other famous artists. The school was only open for just over 20 years but produced some extremely famous and some of my favourite artists, namely Anni Albers, Cy Twombly, Robert Rauschenberg, Merce Cunningham, John Cage, Buckminster Fuller, Willem and Elaine de Kooning and many more. I cannot recommend the exhibition highly enough. I haven’t been able to get her work out of my mind and I am definitely going to go again before it closes on 27 January 2019. Find out more here.